A large terraced house on the peaceful St Aidans Road. Recently renovated all throughout with close access to nearby transport and also fantastic schools. PAY LESS UPFRONT WITH ZERO DEPOSIT GURANTEE. 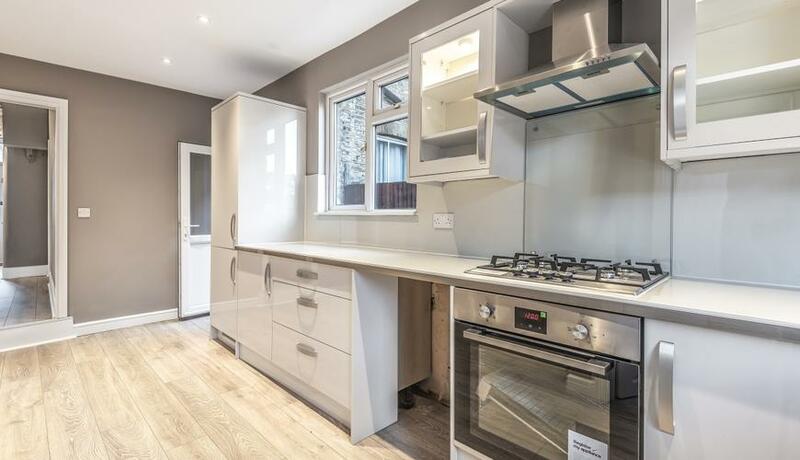 This recently refurbished house has been done from the ground up with a brand newly fitted eat in kitchen with a large space for entertaining and a large gas hob for those keen cookers. There is a large wood decked private garden giving a low maintenance easy to maintain outside space. With a large front reception room with tall ceilings it is a great space for relaxing. Four large double bedrooms one is located on the ground floor which can double up as a second reception room if only 3 bedrooms is required. A brand newly fitted family sized bathroom. HMO ready and available on Zero Deposits Scheme also making this house perfect for professional sharers or families.